The minutes reveal that central bank officials had an in-depth discussion of the technical details of the balance sheet policy, including whether to phase out reinvestment of principal payments or do it all at once. Fed watchers were not expected such a granular discussion at the meeting, thinking it would wait until the May or June meeting. Stockman points out that politicians won’t like a shrinking Fed much as “for the first time in most of their careers they will be attempting to sell government bonds into a rising yield market.” At the same time, traders, instead of buying treasuries with the confidence that the Eccles Building has their back, will be sellin’ with Yellen. In economics we learn, more supply with static demand equals lower prices. Not so with the U.S. Treasury market and hungry central banks. “The supply of publicly-held Federal debt soared from $2.4 trillion to $14 trillion between 1988 and 2017, but prices did not fall; they marched steadily higher—-causing yields to steadily decline toward the zero bound,” Stockman writes (and emphasizes). So when B-Dud and Yellen start getting small, traders will be way ahead of them and the idea of a nice, smooth increase in rates managed by the PhD Fed army is fantasy. “When it starts shrinking its balance sheet and the fast money starts front-running the short-side of the bond market, yields will soar far higher than the CBO’s Rosy Scenario assumptions (emphasis is Stockman’s).” Then, the federal government’s debt service will be a trillion a year plus and suddenly, Uncle Sam’s will be falling in the Greece pit. 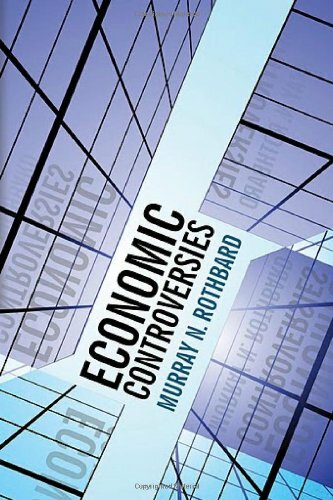 the business cycle phenomenon, the recurring alternations of boom and bust with which we have become all too familiar, cannot occur in a free and unhampered market….expansion of bank money causes an artificial lowering of the rate of interest, and an artificial and uneconomic overinvestment in capital goods: machinery, plant, industrial raw materials, construction projects. As long as the inflationary expansion of money and bank credit continues, the unsoundness of this process is masked, and the economy can ride on the well-known euphoria of the boom; but when the bank credit expansion finally stops, and stop it must if we are to avoid a runaway inflation, then the day of reckoning will have arrived. For without the anodyne of continuing inflation of money, the distortions and misallocations of production, the overinvestment in uneconomic capital projects and the excessively high prices and wages in those capital goods industries become evident and obvious. It is then that the inevitable recession sets in, the recession being the reaction by which the market economy readjusts itself, liquidates unsound investments, and realigns prices and outputs of the economy so as to eliminate the unsound consequences of the boom. The recovery arrives when the readjustment has be completed. Fed gets small, interest rates increase, and finally the realignment begins. It should be a doozy. Stay tuned.